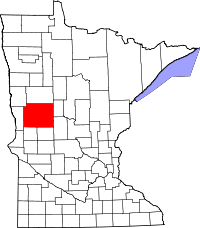 ^ Quickfacts.census.gov - Otter Tail County - accessed 2011-12-06. ^ Quickfacts.census.gov - Fergus Falls, Minnesota - accessed 2011-12-06. ^ a b Tweton, Jerome (1988). The New Deal at the Grass Roots: Programs for the People in Otter Tail County, Minnesota. St. Paul: Minnesota Historical Society Press. pp. 29–31.